Instagram Marketing in 2018 is definitely a wee bit trickier than it was back in the ‘golden days’ of the ‘gram. 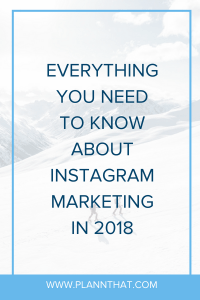 There are a lot of things that you need to know to get the best results out of Instagram marketing in 2018 including the Instagram algorithm, Instagram content strategy, and even right down to the details like the best Instagram caption length. Today we’re going to demystify Instagram marketing in 2018 so that you know exactly what to do to grow your Instagram following, increase your engagement and make the most out of your Instagram account. Raring to go? Let’s hop to it! Take a deep breath, friends! I’m here to put that anxious mind of yours at rest. 90% of what you’ve heard about the “new algorithm” is false. That’s right! Here is some widely spread Instagram marketing in 2018 rumours that are simply not true. It’s the question on everyone’s lips – what on earth does the Instagram Algorithm actually want us to post in 2018? Oh, how our lives would change if we had all of the answers in our back pocket!! Well… actually…let me check that back pocket. *Rummaging around* Huzzah! We have the answers! Now all you need to do is download Plann for us to reveal these secrets of the Instagram Algorithm to you… Just kidding! Here’s exactly how you can master the Instagram marketing in 2018. Let’s be real here – with Instagram set to reach 1 billion users in 2018, your captions need to turn your followers into curious cats as soon as they set eyes on your post! Today we’re going to share with you five of the best Instagram caption ideas that will help you to increase your likes, comments, and follower count in 2018 and beyond. So, you’ve finally chosen what you want to post on Instagram – now it’s time to write your caption. But are short Instagram captions better than long ones? How can you make sure that your Instagram captions increase engagement, and help you to grow your account in 2018? There are moments where even the savviest and creative among us get stuck for inspiration. To help break through the wall, here are 30 Instagram content ideas that are easy to customize for your brand. Use ‘em all and you have a whole month of content to get the ball rolling. You’re going to be a master of Instagram marketing in 2018 after reading this blog! Have you been thinking about creating a new Instagram grid, or looking for fun new ways change up your Instagram gallery? The best thing to do is get some inspiration from a huge range of Instagram feed themes and get started – you’re in the right place! 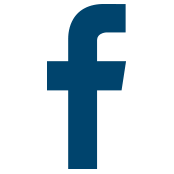 Ready to find out how to grow Instagram followers organically with Plann? Buckle your seatbelts because this is going to get exciting!! 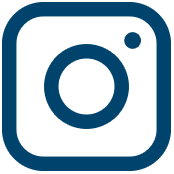 Instagram is a flippin’ phenomenal social media network that boasts over 1 billion users worldwide. At Plann, we’ve created an Instagram Scheduling, Strategy and Analytics tool that can help anyone from your local café owner to the side-hustling artist to grow a profitable Instagram account from scratch. Today we’re taking a look at what three Plann users have managed to achieve with the help of the nifty (and FREE) Plann app. Did you know that “How to skip a line in Instagram” and “How to add line breaks in Instagram captions” has over 500 million Google searches?! You are not the only one who has pulled their hair out in the process of trying to clean up your Instagram captions, that’s for sure! Here’s a nifty tip that’ll add to your expertise for Instagram marketing in 2018. Do hashtags ever make you pull your hair out? Do you feel unsure and keep question every hashtag your use, or don’t use? We understand your pain! We’re here to help you learn how to find the best Instagram hashtags. Plann makes the search for the perfect Instagram hashtags easier for you. Learn all you need to know about Instagram hashtags and become a master of Instagram marketing in 2018. Why do people follow unfollow? Should you ever try to attract follow unfollow Instagram accounts? When they unfollow, does that mean that they don’t love your feed anymore? To qualify for Shopping on Instagram you must be selling physical goods, be located within the US, UK, Australia, Canada, France, Germany, Italy, Spain or Brazil, be running an Instagram Business profile, and have your profile connected to your Facebook Shop Catalog. If you absolutely LOVE this blog post, make sure to share it with all of your Instagram-loving friends! PSSST -> Don’t forget to download the Plann app for free, and start scheduling your Instagram posts like a pro.